Homemade vegan pudding can be simple and quick to make. It requires just a few ingredients and not much time on the stove. This recipe is also much healthier than full-fat pudding recipes—although the soy milk does add a small amount of fat—and it's cholesterol free as well. More importantly, it is delicious and satisfying. While it makes a vanilla pudding, you can add flavor to the recipe if you like. Use ingredients like lemon zest and juice or fun fruits like blueberries and raspberries. They add to the pudding's color and texture as well. You can even use this vegan pudding as a base for other dessert recipes. Use it to fill a pie crust or as a layer in a trifle. In a large saucepan, mix the sugar, cornstarch, and salt. Gradually blend in the soy milk, stirring constantly to avoid lumps. Cook the mixture over low heat, stirring constantly until thickened. Cook for an additional 2 to 3 minutes, stirring occasionally. Remove the pudding from the heat and add the vanilla. Let cool for 10 minutes, stirring now and then. Pour the pudding into one large serving dish or individual serving dishes and chill until firm, about 2 to 3 hours. Reprinted with permission from "The Compassionate Cook Cookbook." While you can do a lot with the vanilla pudding, there are other vegan desserts that you won't want to miss. Each of these is either a pudding or uses a pudding-like filling and they're all delicious. Old-Fashioned Coconut Pudding - A tasty coconut pudding does not require eggs or dairy. 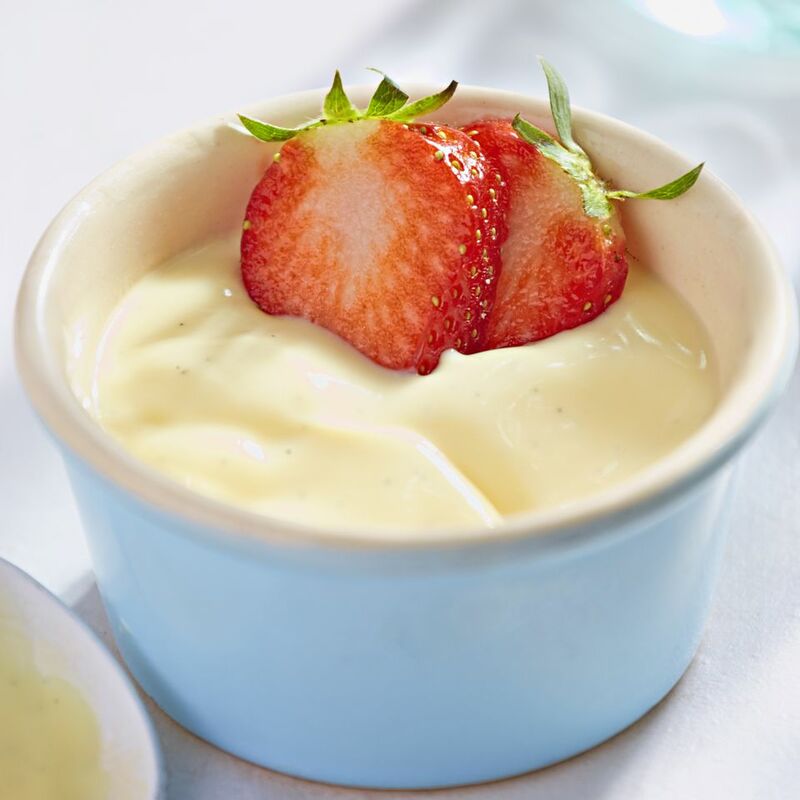 This recipe is very simple and similar to the vanilla pudding recipe. The main difference is that it uses coconut milk. Vegan Bread Pudding - Since you now know how to make vanilla pudding, you can take it a step further and make bread pudding. Simply grab day-old bread, raisins, almonds, and cinnamon and you're all set. Quick Chocolate Peanut Butter Pie - Silken tofu is the key ingredient to the creamy filling of this absolutely delicious pie recipe. With just four ingredients, plus a pre-made pie crust, you can have dessert on the table in just over an hour. Tofu Peanut Butter Pie - If you skip the chocolate, you can make an equally delectable pie. This recipe requires no melting, so you don't have to worry about a double boiler. All you need is a blender and a pie crust. It's incredibly easy.